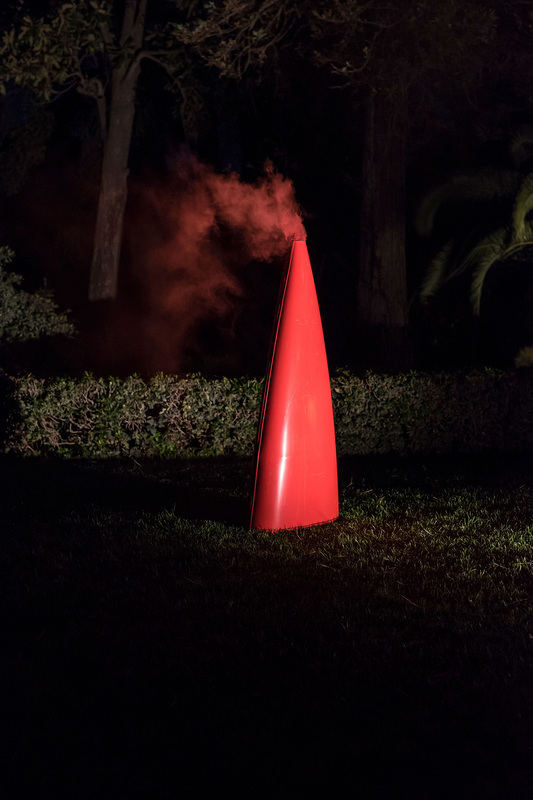 Istituto Svizzero is pleased to present “Skulptur/Fotografie”, a solo presentation by artist Roman Signer. Roman Signer is counted amongst the most renowned contemporary Swiss artists with an extremely versatile body of work encompassing various disciplines such as sculpture, drawing, happening, installation-work, photography, and video. Signer is best known for his ephemeral time sculptures, with their ties to process, transformation and movement, and which have contributed to the redefinition of the very concept of sculpture since the mid-seventies. His creative process often reveals, by means of a structured suspension in time, what is scarcely, or very seldom, visible. His sculptural works exist as experimental movements where the process is more important than the visual appearance, collections of passing moments where slight transformations of shape and matter occur. The artist’s sculpture/actions are free to unfold their dynamism and what remains is not explicitly physical, but rather a mental recapitulation of the foregone process. Signer looks for ‘some-thing’ to happen, and for some things to remain. Signer is a master of experiments, as he is one of the biggest dreamers. Within his concept of sculpture, the three dimensions of space—in the classical sense—are complemented by the dimension of time. Engaging the time-space continuum, he uses the “object” to change one’s relationship with the space one finds themselves in, and this correspondence , constantly in flux, possesses a potential which Signer transforms into a dynamic force and with which he explores the world, all the while maintaining a subtle irony all his own. For his solo show in Rome, Signer will present sculptures and photographs from different times of his prolific production. In particular, he will exhibit some of his early black and white photographs, which document his action/sculptures and highlight the importance of context. The public is provoked. Time is suspended. We are waiting. Roman Signer was born in Appenzell (Switzerland) in 1938. Starting from the early 70’s his artistic research focuses on his new concept of sculpture, tied to process, transformation and movement. Utilising everyday objects, materials and natural phenomenon he creates kinetic installations, actions and experiments, besides creating explosions which he documents with video and photographs. He was commissioned public installations for the cities of Düsseldorf (Germany), Vaduz (Liechtenstein), Solothurn, Appenzell (Switzerland) e Nantes (France). He participated in Dokumenta 8 (1987) and in Skulptur Projekte Münster, 1997. In 1999, he represented Switzerland at the Biennale of Venice. Roman Signer lives and works in St. Gallen, Switzerland.